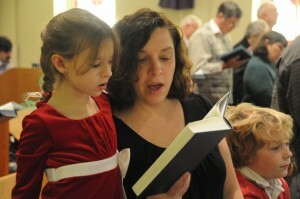 At the 11:00 service, all ages join in traditional hymns. Worship is a celebration and spiritual encounter with God which provides opportunities for people to be nurtured and encouraged. Ashland has two worship services at 9am and 11am most of the year, with a single 10am worship service in the summer. Summer worship offers a mix of the music worship team, piano, and organ, soloists and small groups. Communion is offered on the first Sunday of the month. All believers are invited to partake. Those who are unable to attend worship are welcome to contact to church office and request Home Communion. We celebrate God’s presence among us and God’s love that forgives, heals, makes new, and transforms. In worship we celebrate the new work God is doing in our lives. We are the prodigals coming home in God’s Kingdom on earth and we celebrate in joy and thanks. Worshiping as a community gives power to our expression of love. We extend the celebration of love through the mission of our daily lives in the world. Worship expresses our love for God. 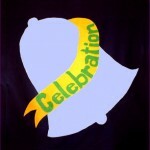 We celebrate with traditional, contemporary and -sometimes- experimental styles of worship! Children and Youth are welcome in worship. Children’s Bibles are in each pew, and activity binders are available during worship. Weekly children’s messages are delivered to children during the second service, and there is childcare available for children under six during worship and Sunday School. Children and youth are actively involved in services as liturgists, ushers and musicians. Music is a valued way of praising God at Ashland Church, through the praise team, chancel choir, and other talented musicians. The second Sunday of each month, guest musicians share their talents, such as The Chesapeake Wind Ensemble and Pandemic Steel Drum Band. – The use of technology to enrich worship with videos, recordings, and pictures, projected onto screens in the sanctuary. – An outdoor service held in the Ridge Pavilion at Oregon Ridge followed by a community picnic and games. – A multi-media production of Joseph Martin’s, “Celebration of Carols,” featuring the chancel choir, members of the praise team, and with projected pictures synchronized to the music. VBS is Right Around the Corner! !